The Little Card Factory will be be at The Devenport Craft Market on Sunday 4 September. This is Fathers Day and The Little Card Factory will have Fathers Day cards for those of you that like to leave things to the last minute! 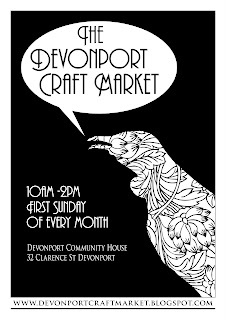 There will be lots of stalls inside and out, so come along and check out all the arty crafty goodness that Auckland has to offer and let's hope for some sunshine!